Minneapolis is a scenic and arty city in the state of Minnesota, in the United States of America. Home to more than 410,000 residents, it is the state’s most populous destination. Minneapolis offers you a wealthy art scene and access to breath-taking nature. The city’s top tourist attractions include Minneapolis Institute of Art, Minnehaha Park and Target Field. Prepare to discover the breath-taking parks and green spaces of this destination, because cheap flights to Minneapolis are now available for a limited time! Minneapolis is the home of Minneapolis-Saint Paul International Airport (MSP), a 15-minute drive or scenic 30-minute bus ride from the city centre. Explore the streets of this city in Minnesota and get amazing views of the towering skyscrapers around Minneapolis, such as the Cappella Tower and the IDS Centre. 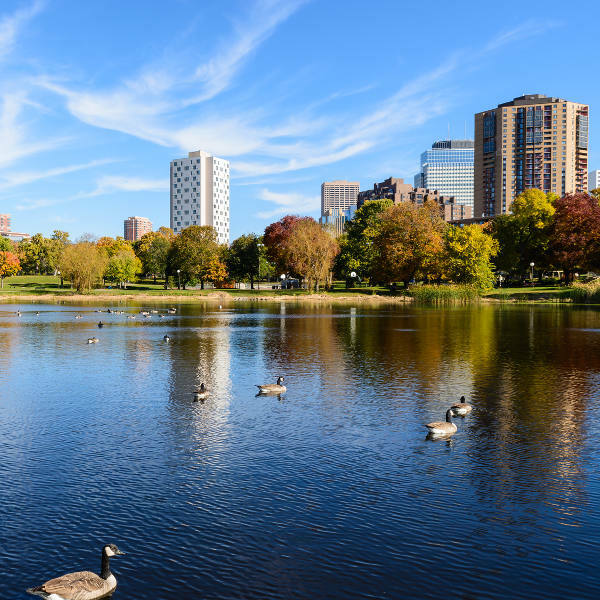 This American destination is home to a wealth of gorgeous parks, gardens, hiking trails and more, including the Chain of Lakes, the Peace (Rock) Garden and the Minnehaha Park. Minneapolis’s rich creativity is one of its main drawcards. 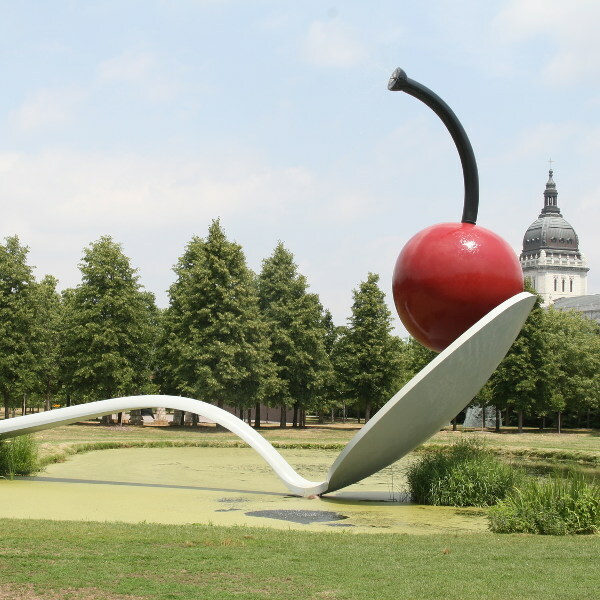 Admire the artworks at the Walker Art Center and the incredible Weisman Art Museum or enjoy live performances at the Guthrie Theater and the Children’s Theatre Company. With frosty winters (December – February), visiting Minneapolis during the summer (June – August) makes it the most popular time to discover this American destination. The temperatures during this time climb pleasantly to the higher 20s, which balances the high rainfall of this period. These ideal conditions bring the most tourists to Minneapolis, so if you want good hotel deals, you’d best book your accommodation well in advance. Events that take place in the summer include Twin Cities Pride (June) and the Upton Art Fair (August). To get the perfect balance between ideal weather and a quieter holiday experience, visit Minneapolis in May (late spring) and September (early autumn). Temperatures during these times range around the low 20s and there are plenty of reasonable hotel deals. Should you visit in May, make sure to avoid the later part of the month, since this is when college graduations take place. May offers events such as the Food & Wine Experience and the Soundset Festival, while in September, you can enjoy the Minnesota State Fair. Discover one of the alluring destinations of the United States – Minneapolis, the largest city in the state of Minnesota. This big metropolis offers a vibrant arts and entertainment scene, as well as a rich collection of scenic parks, lakes and gardens. Immerse yourself in the buzzing art environment of Minneapolis with its various art museums, such as the iconic Weisman Art Museum and the Walker Art Center. Treat yourself to entertaining comedy performances at the State Theater, inspiring classical music at the Paramount Theater, and memorable acting at the Mcguire Proscenium Stage. 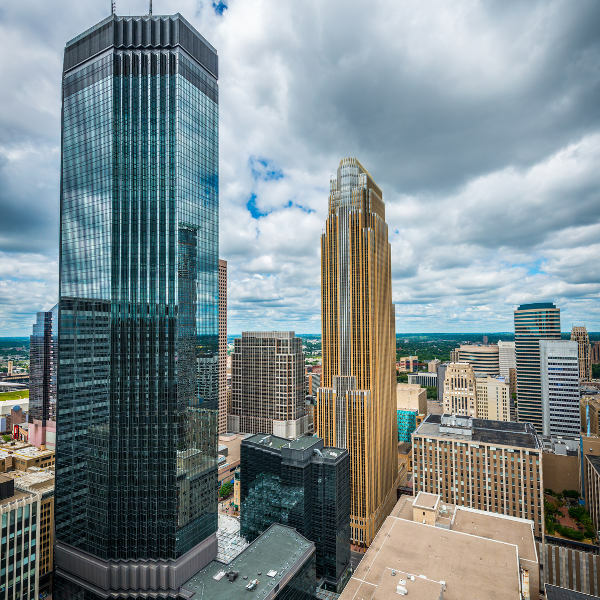 If you prefer taking a stroll and exploring the city, enjoy sights of the breath-taking skyscrapers and iconic structures that contribute towards Minneapolis’s modern environment, such as the U.S. Bank Stadium, the IDS Building and the Capella Tower. More inspiring views are available at this destination’s amazing selection of beautiful parks, gardens and lakes, including the Minnehaha Park, Lake of the Isles and the Mill Ruins Park. Many of these natural attractions are ideal for outdoor activities such as hiking, biking, driving and simply enjoying a relaxing picnic. Compare several airlines and book your cheap flights to Minneapolis online at Travelstart. Since Minneapolis is a large city, stay alert and aware of your surroundings at all times. Keep your valuables out of sight at all times when in public. When driving, make sure you lock all your valuables in the trunk/boot before you arrive at your destination, to avoid alerting potential thieves. Areas to avoid include Cedar-Riverside, Folwell, Jordan, Phillips, Near North, Willard-Hay, Broadway Avenue, Penn Avenue and the northern parts of Powderhorn. Be careful when exploring Loring Park, Downtown Minneapolis and Loring Heights.